We can feel an image in our bones and muscles. We can also touch it with our skin (almost). 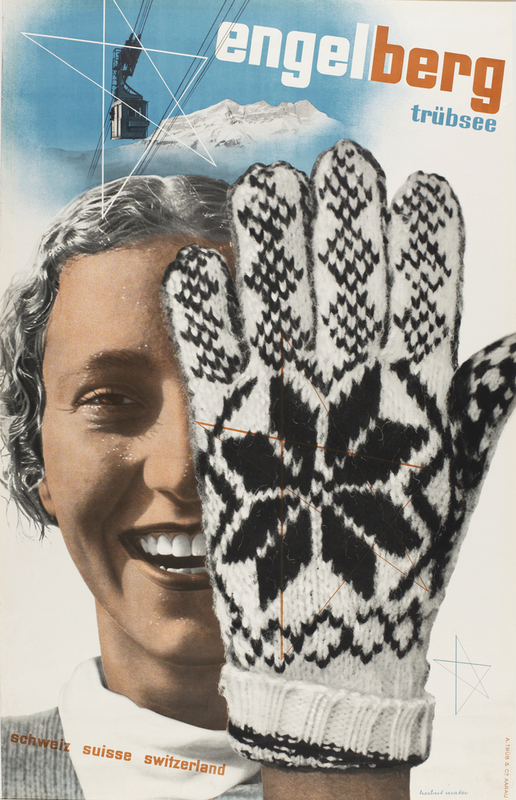 The knitted wool glove in Herbert Matter’s Engelberg, Trübsee, Switzerland (1935) is so real we can almost sense it against our skin. Designers speak of “texture” as a basic design element, and yet this quality often exists as a flat representation or abstraction rather than a physical surface characteristic.